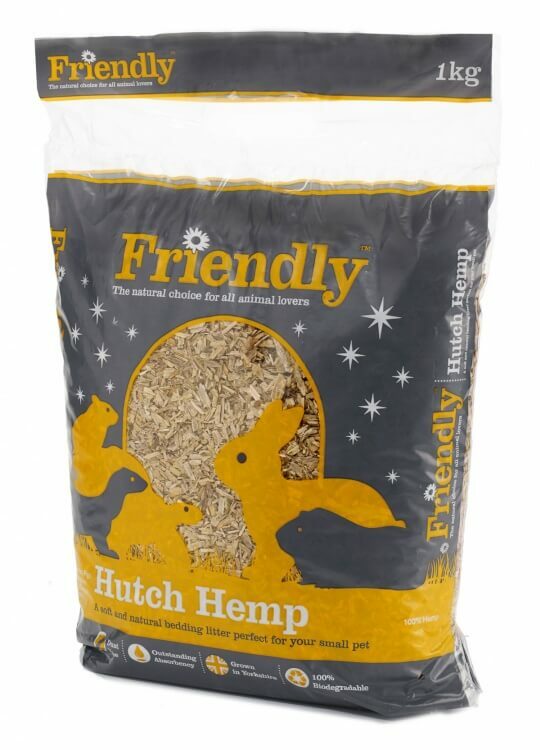 Friendly Hutch Hemp is made from the soft core of hemp plants which are grown in Yorkshire to produce natural fibres. 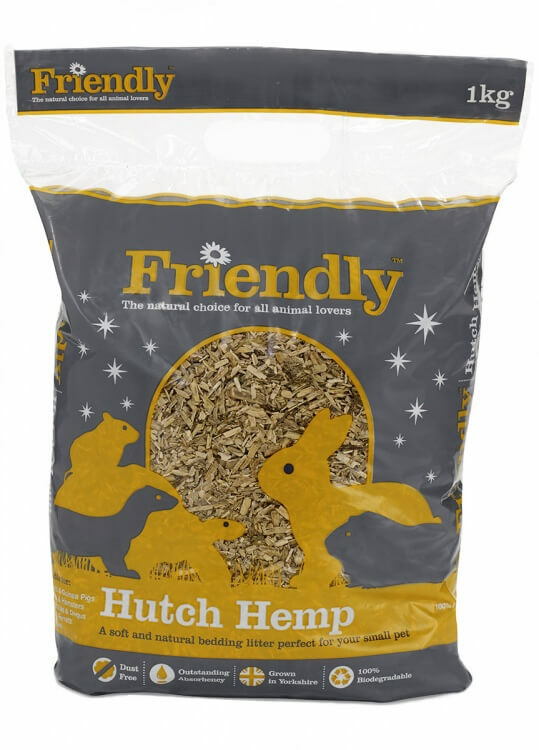 It provides a warm, comfortable and dust-free bedding suitable for all small animals. 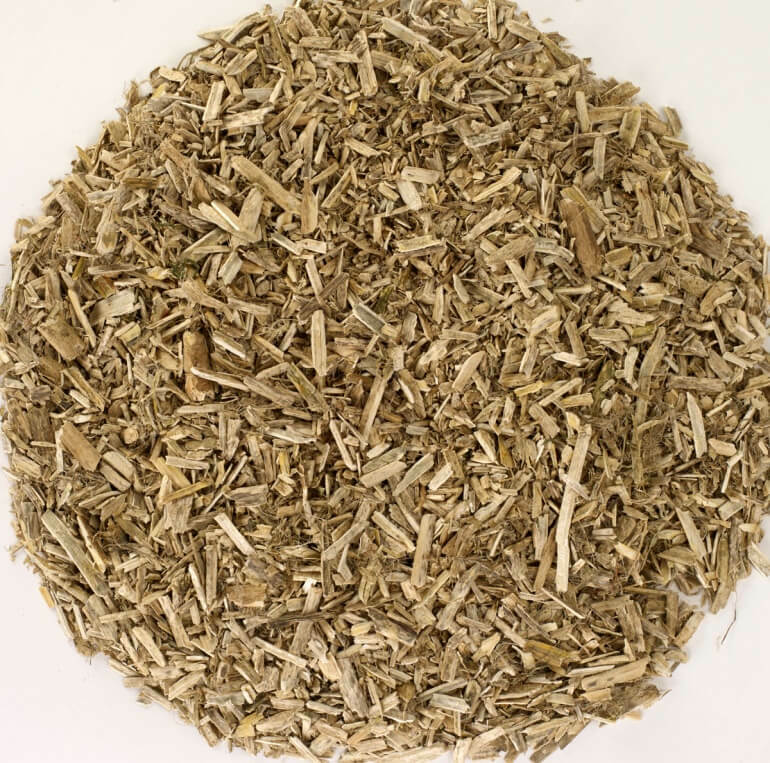 Its outstanding natural absorbency ensures that the bedding remains drier for longer, helping to keep your pet clean, comfortable and contented. 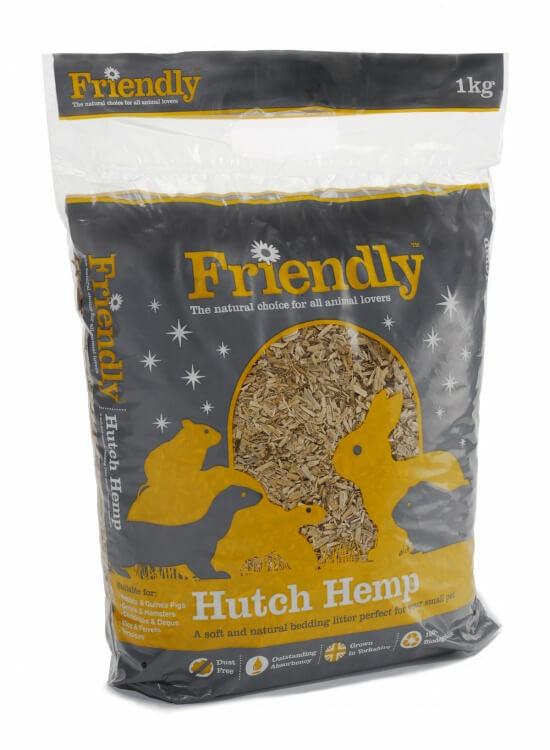 Friendly Hutch Hemp is available in 1kg bags and is available to purchase both online or through one of our stockists.